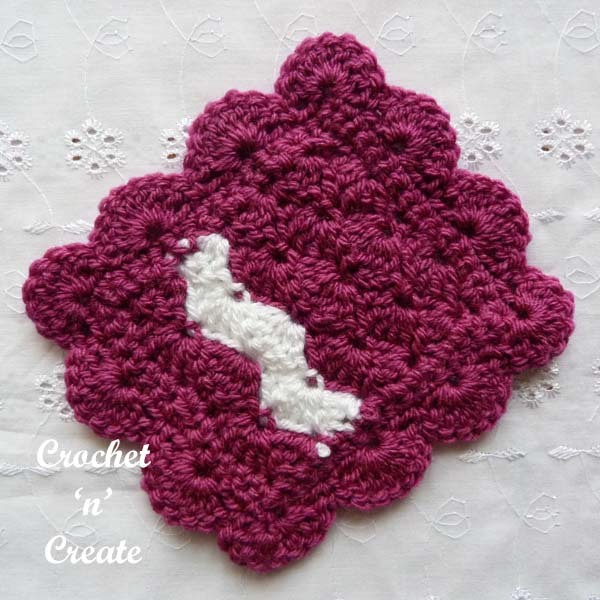 Crochet Bobble Edge Coaster – A sweet free coaster pattern with a bobble and crab stitch edge, it is easy and quick to make, I have made a set with different color bobbles, but crocheted in one color would look just a nice. 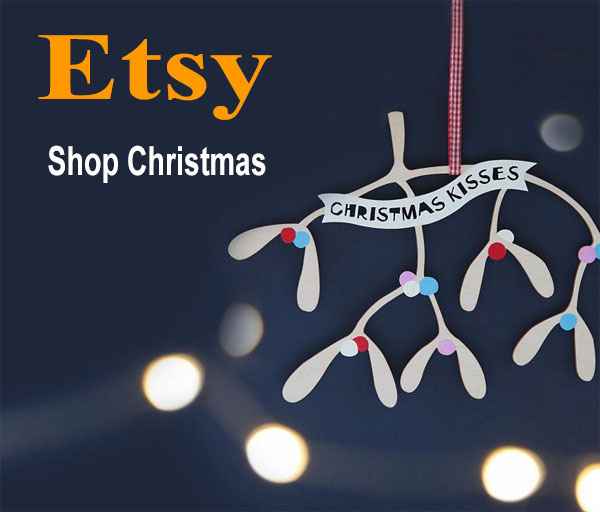 This lovely design is written in USA and UK format and both versions are listed below, just scroll down the page to get the one you prefer. 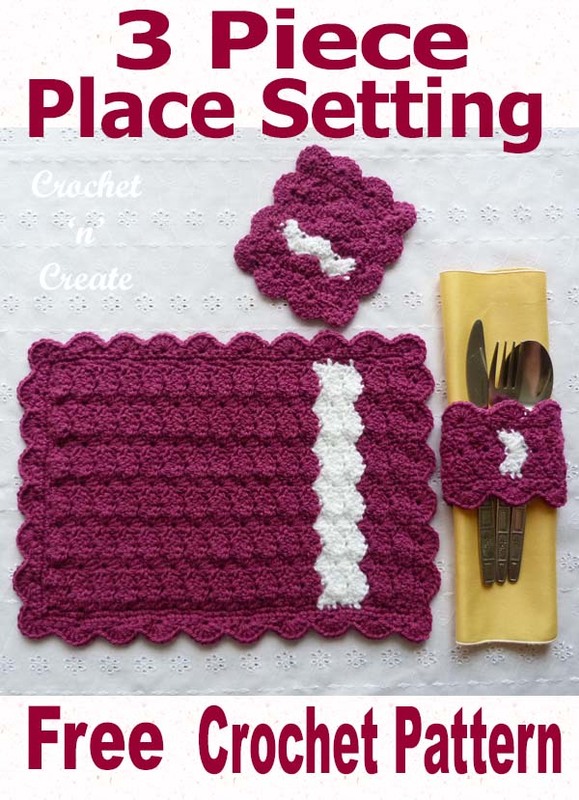 This entry was posted in crochet coasters and tagged crochet, crochet coaster, crochet for home, crochet for Kitchen, crochet patterns, free crochet patterns on 23rd March 2019 by crochetncreate. 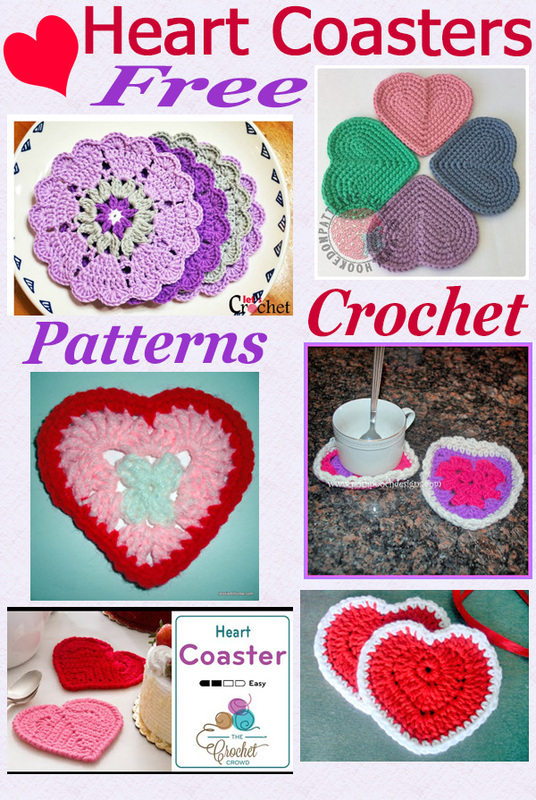 Free Crochet Pattern Roundup Heart Coasters – Spread the love with these six heart coasters from creative designers, all of them are free and can be made today. and dining tables, hope you enjoy! 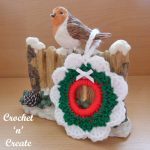 This entry was posted in crochet coasters, Round Ups and tagged crochet, crochet coaster, crochet for home, crochet roundup on 15th January 2019 by crochetncreate. 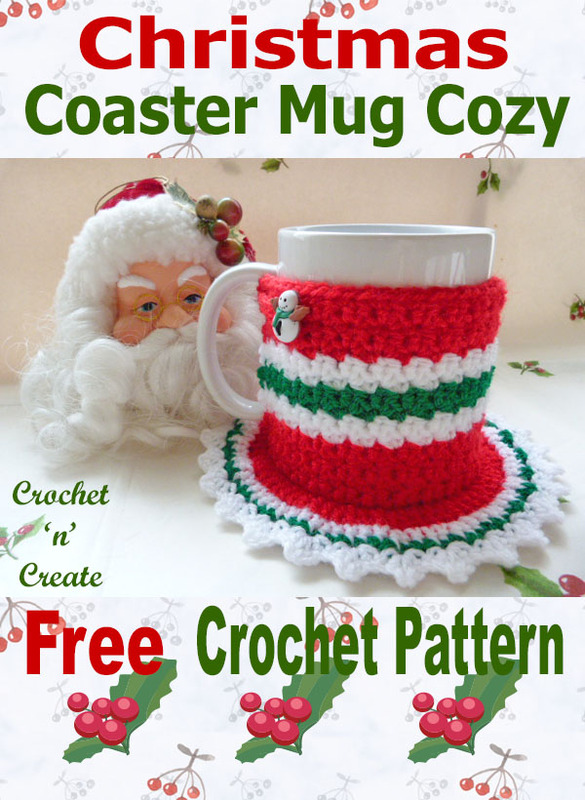 Free Crochet Pattern Christmas Coaster Mug Cozy – Make these colorful coaster mug cozy’s for Christmas, brighten up your morning coffee or mid afternoon tea break or if you are looking for a last minute gift there is still time to crochet some of these and put a mug inside. Hope you find them useful. 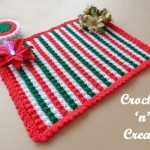 This entry was posted in christmas patterns, crochet mug cosies and tagged christmas crochet, crochet, crochet coaster, crochet cozy, crochet mug cozy on 10th November 2018 by crochetncreate. 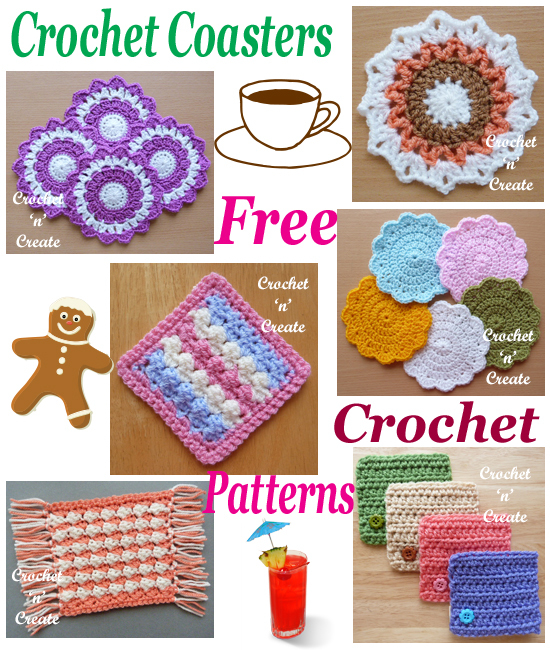 Free Crochet Pattern Christmas Coaster Mug Cozy UK – If you are looking for a last minute gift there is still time to crochet some of these coaster mug cozy’s and put a mug inside or make them to brighten up your morning coffee or mid afternoon tea break over the holiday. 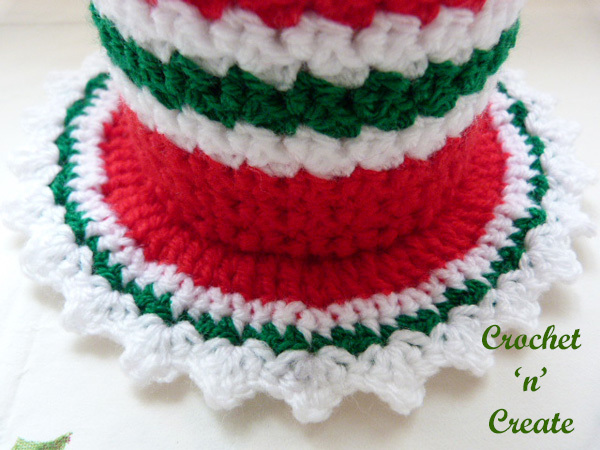 See more free Christmas crochet patterns with the links below. dc group. 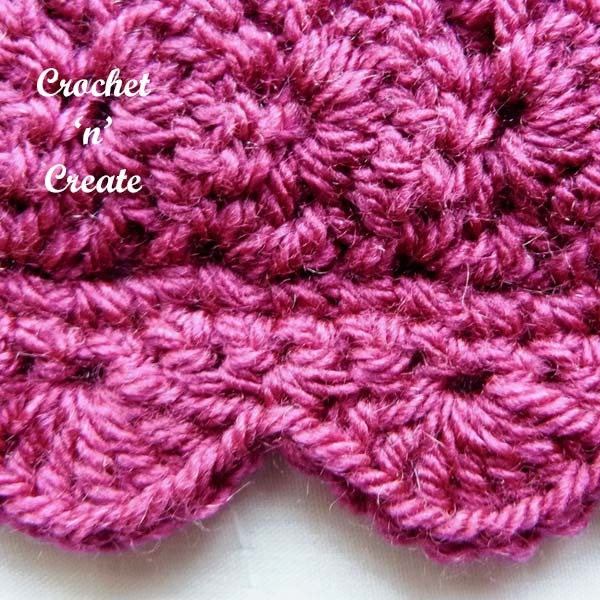 (2dc, 2ch, 2dc) into same stitch or space. Approx Finished Size: 3.5 inch base diameter mug. 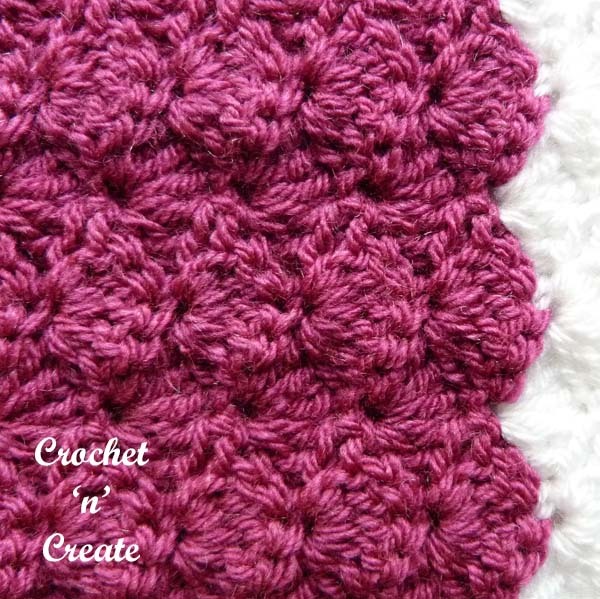 * The back loops of the stitches on the 5th Row will be referred to as loose loops when you work the coaster. 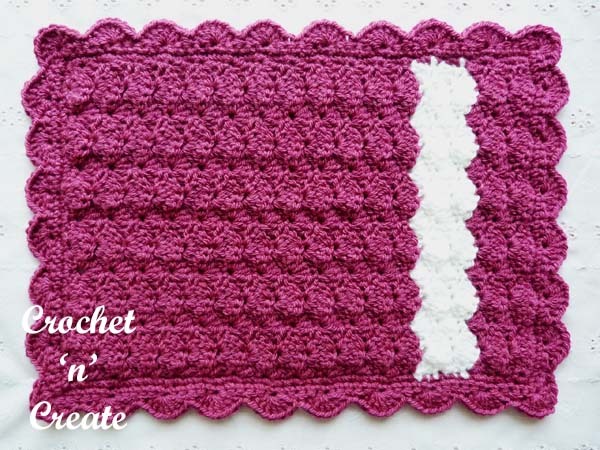 6th Row – Working through both loops of stitch from now on, work 1ch, 1dc into base of 1ch, * miss 1dc, 2dc into next dc, * rpt from * to * to last dc, miss dc, ss to first dc on beginning of row. Turn. 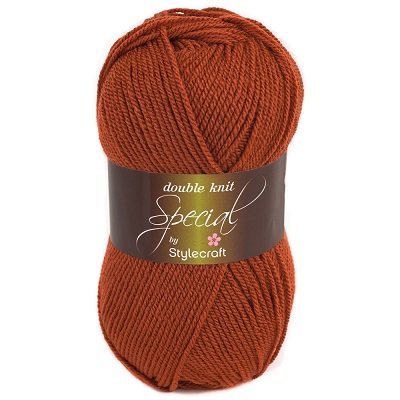 7th Row – Rpt 6th Row to end, ss to first dc. Turn. 8th Row – (split for handle) 1ch, 1dc into base of 1ch, * miss 1dc, 2dc into next dc, * rpt from * to * to last 2dc, miss 1dc, 1dc into last dc, Do Not ss to first dc. Turn. 9th Row – 1ch, 1dc into base of 1ch, * miss 1dc, 2dc into next dc, * rpt from * to * to last dc, 1dc into last dc. Turn. 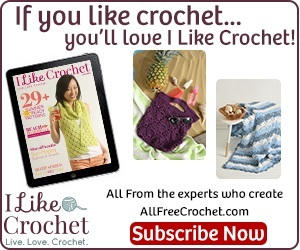 10th & 11th Rows – Rpt 9th Row. Turn. Fasten off. 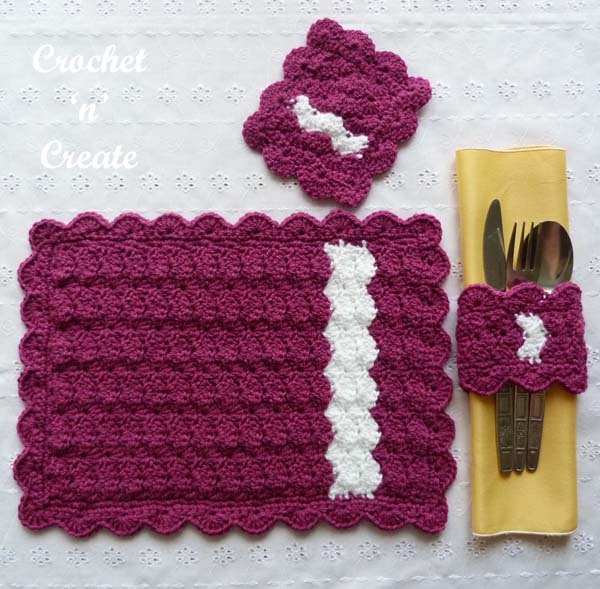 Join in colour 3. 12th & 13th Rows – Rpt 9th Row. Turn. 14th & 15th Rows – Rpt 9th Row. Turn. Fasten off Join in colour 1. 16 to 19th Rows – Rpt 9th Row. Turn. 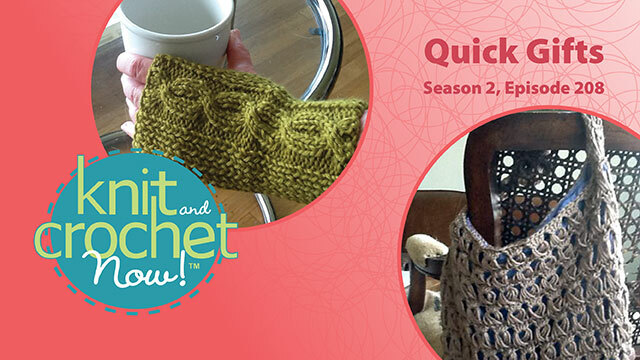 20th Row – Make 20ch, ss to base of 20ch, rpt 9th Row. Row 3 – 1ch, 1dc into base of 1ch, 1dc into each dc to end, ss to first dc on beginning of row. Turn. 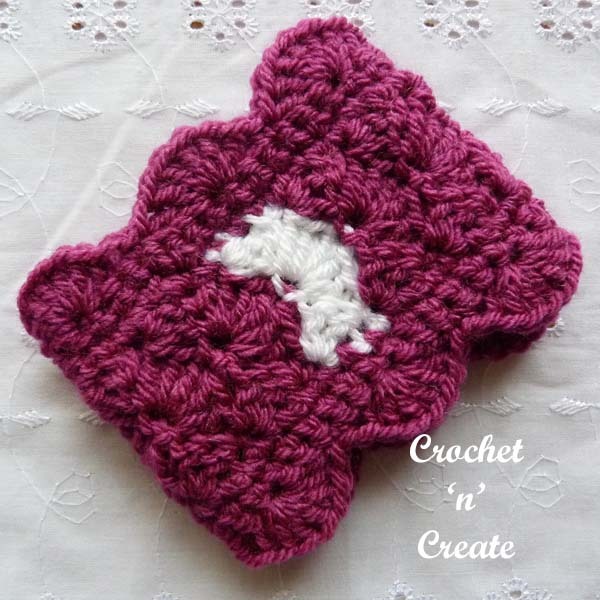 Finishing – Weave in and trim off any loose ends of yarn, attach novelty button to cozy to correspond with buttonhole loop and fasten through. 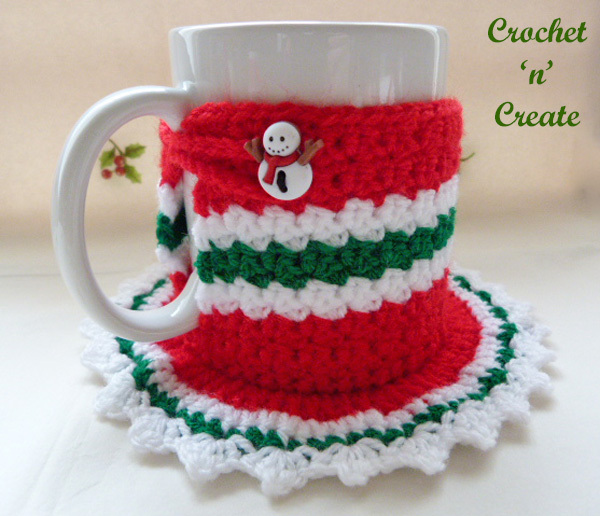 The written instructions and pictures for this free crochet pattern Christmas coaster mug cozy UK are copyrighted to crochet ‘n’ create © 2018. 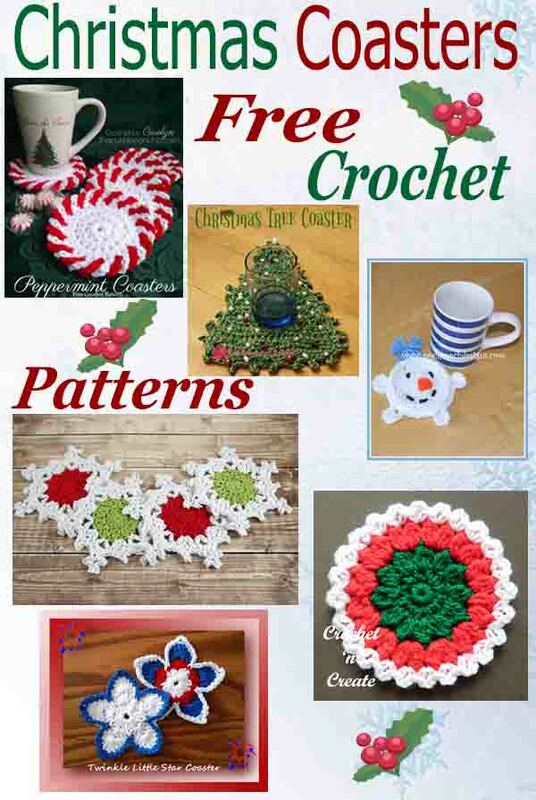 You are welcome to sell the finished products made from the free crochet pattern Christmas coaster mug cozy UK, I just ask that you use your own pictures and put a link back to crochet ‘n’ create. 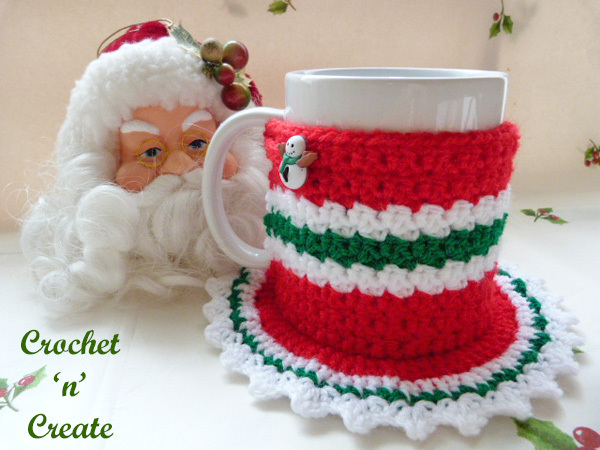 DO NOT share the written instructions for this free crochet pattern Christmas coaster mug cozy UK. 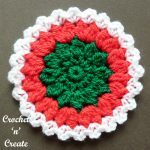 Free Crochet Pattern Roundup-Christmas Coasters – A roundup of 6 pretty and useful Christmas coasters, if you do not want them for the holiday season, just make them in different colors and use all year around. 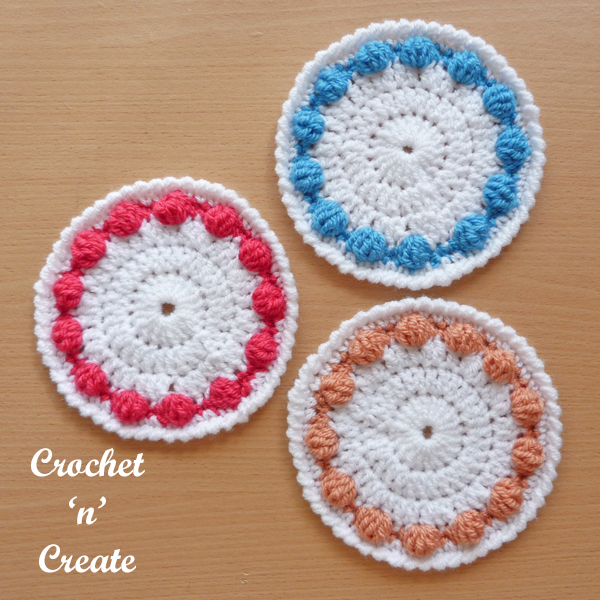 This entry was posted in crochet coasters, Round Ups and tagged crochet, crochet coaster, crochet for home, crochet roundup on 6th November 2018 by crochetncreate. 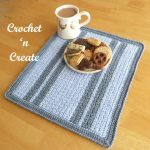 Free Crochet Pattern Roundup Mug Rugs-Coasters – Six free quick to crochet mug rug/coaster patterns for you to enjoy, they come in different shapes and sizes. 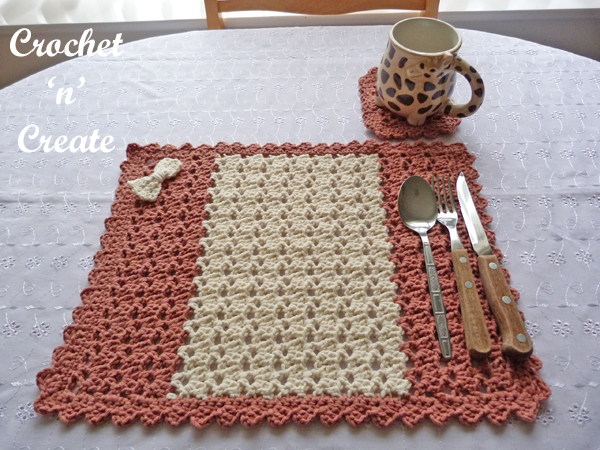 Save your tables from coffee or tea stain marks. 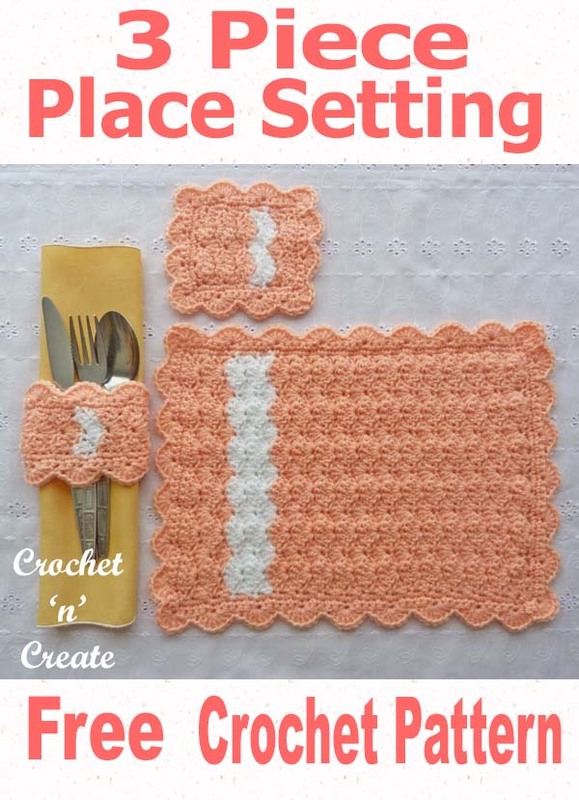 This entry was posted in crochet coasters, crochet for the home, crochet for the kitchen, Round Ups and tagged crochet, crochet coaster, crochet for home, crochet for Kitchen, crochet roundup on 17th October 2018 by crochetncreate. 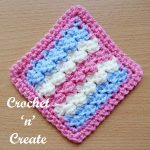 Quick and easy to crochet coasters roundup, free crochet patterns for you make as gifts for friends and family or for yourself. 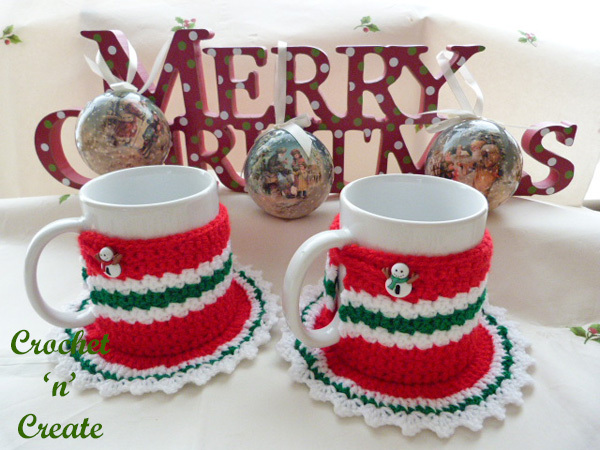 Crochet them in red, green and white and add some mugs and you have a lovely Christmas present for someone. 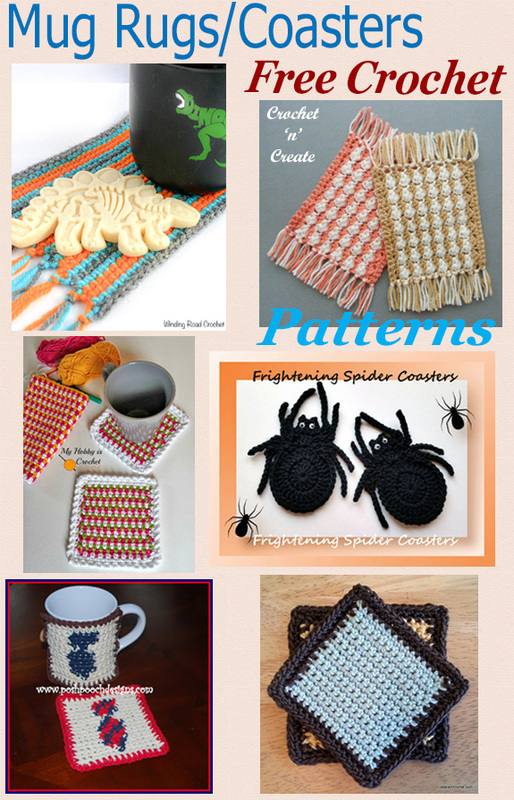 Click on the heading or pictures below to get the patterns, then scroll down the page to print. 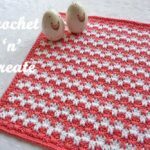 This entry was posted in crochet coasters, Round Ups and tagged crochet, crochet coaster, crochet for Kitchen, crochet roundup on 11th July 2018 by crochetncreate.